Corte dei Greci resort is a holiday village that includes two hotels, an apartments complex, two swimming pools, a gym and a spa, a large playground for children, a sports center with tennis-courts, five-a-side football field, horse riding, miniclub, entertainment and a beautiful private beach of sand and pebbles. 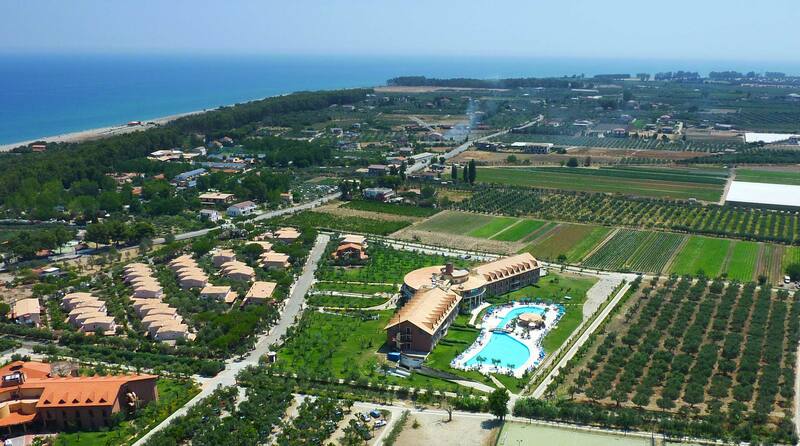 CORTE DEI GRECI Resort & SPA is a holiday village designed in full respect for the enchanting natural environment in which it is placed: a park of olive trees, citrus and eucalyptus overlooking the Ionian Sea of Calabria. 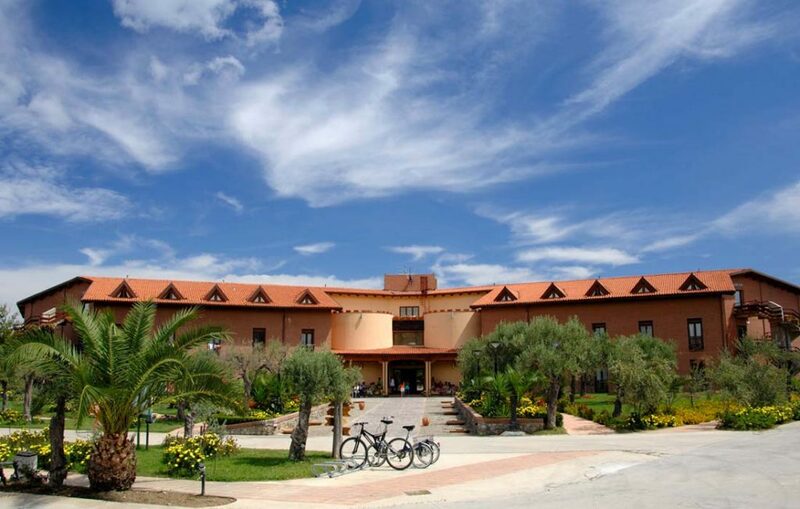 Hotel Zeus is the main and the newest building of CORTE DEI GRECI Resort & SPA. Its wide glass lobby allows you to embrace the green park and the outdoor swimming pool. Hotel Giunone is smaller than the Zeus one, but cozy as well. 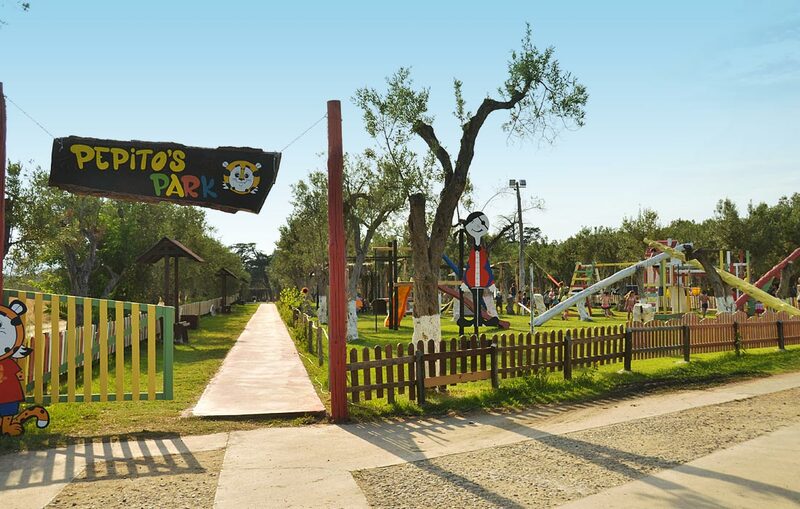 Completely immersed in the park, the hotel has a buffet-style restaurant with typical regional dishes, where one a week pleasant themed evenings are organized. Relax in the pool? Fun for your Kids? 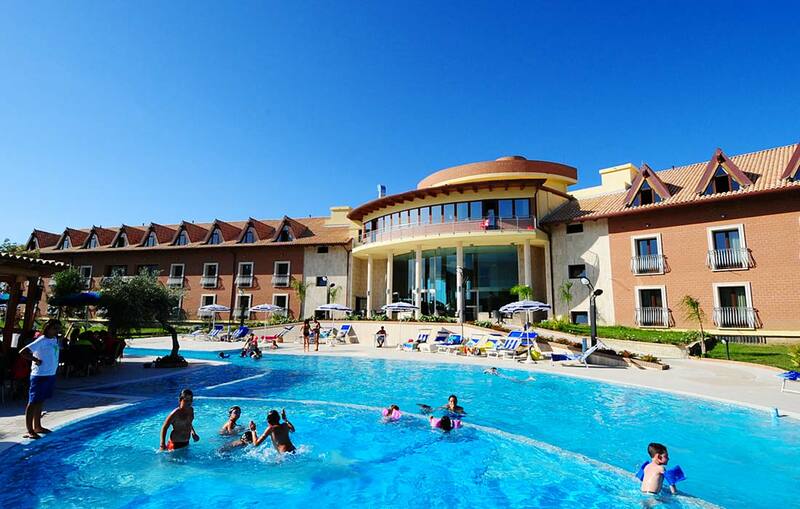 Swimming pool with bathing assistance immersed in the park of Corte dei Greci Resort. 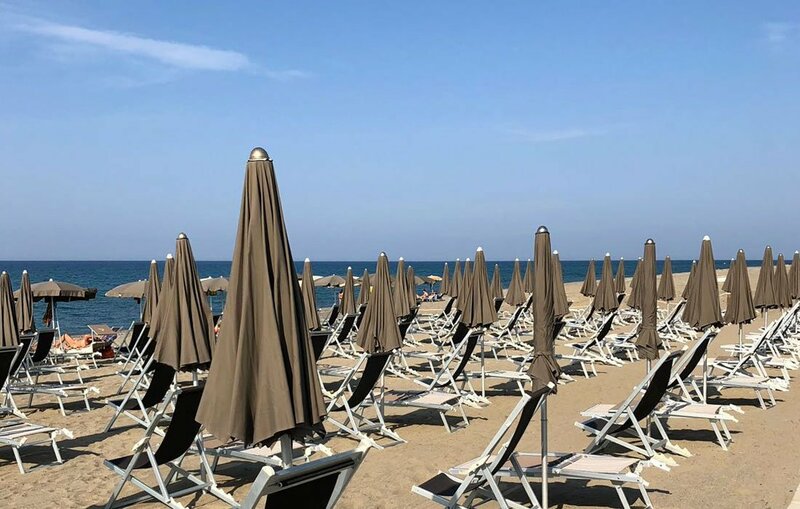 Walk crossing the park to get the private beach of sand and pebbles equipped with beach umbrellas and beach chairs. Enjoys all the benefits of thermal water. Live moments of wellness for your body and spirit. A fun holiday for your kids. Day and night activities and entertainment. Clubs from 4 to 17 years old. Are you a sport lovers on vacation too? 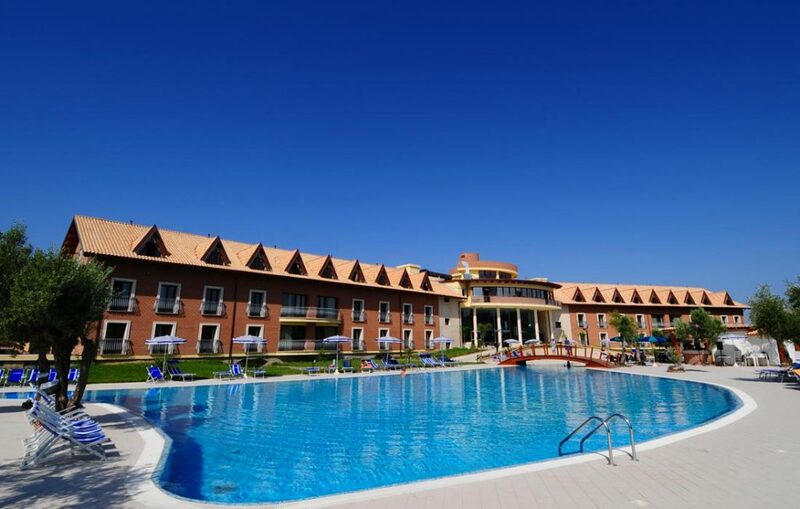 Would you like to stay fit and enjoy sport activities? Great! 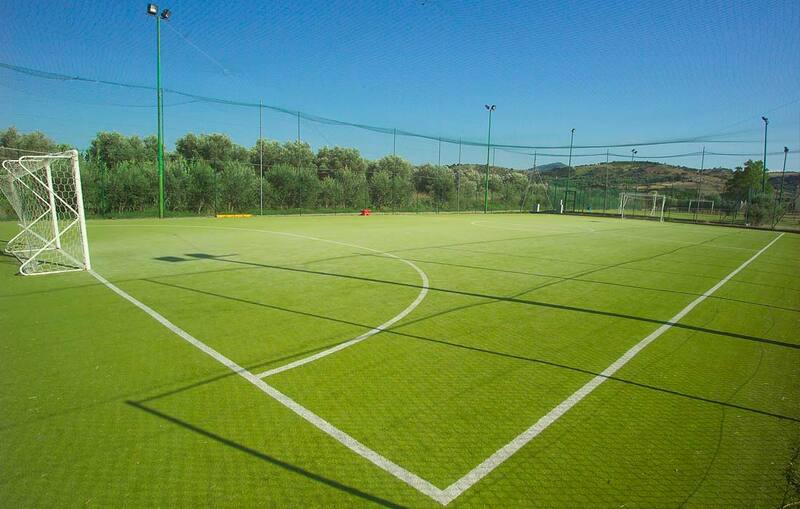 Here at Corte dei Greci Resort you may use our modern sports facilities and equipment to practice the sport you like. Space theater for entertainment shows in the evening. 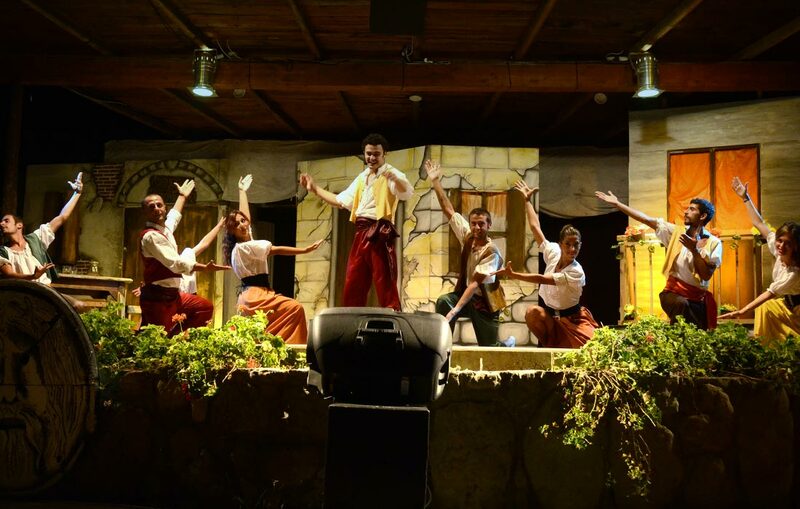 You never get bored at Corte dei Greci Resort! Do you prefer the holiday apartments? 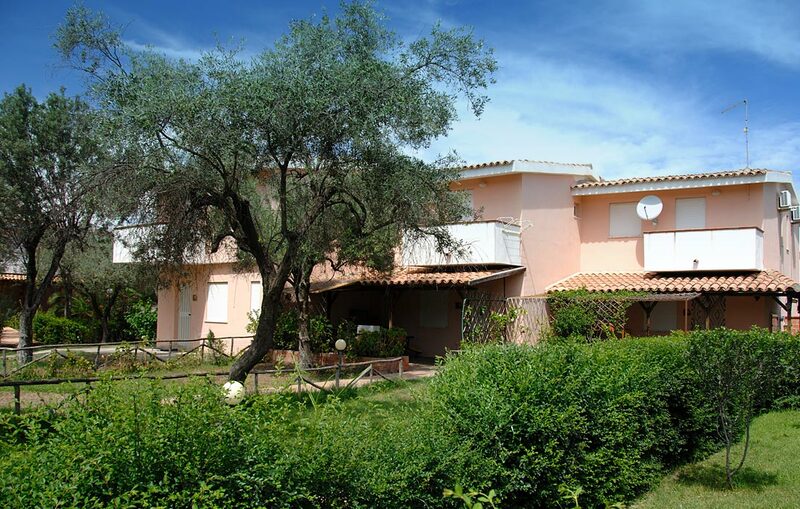 Choose your apartment at CORTE DEI GRECI Resort & SPA: two-roomed and three-room apartments, placed in a modern and harmonious context of two floors terraced houses, immersed in the park and accessible only through pedestrian paths. Our guests may access to all resort services using the resort club card. Our staff is at your disposal for any info you may have. Do not hesitate to contact us.